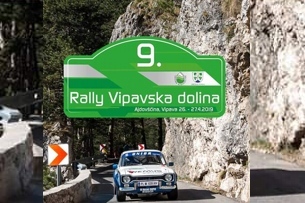 Rallye Vipavska dolina 2019 - Regulations / Entry available! Alpe Adria Rallye Cup 2019 / zur Alpe Adria Rally Trophy 2019 Regulations are available on the website. Teams - Alpe Adria Rally Cup / Alpe Adria Rallye Trophy 2019! The registered teams of the Alpe Adria Rallye Cup / the Alpe Adria Rallye Trophy 2019! Rigon/Minuzzo Peugeot 106 Rally - 44. Rally INA DELTA 2018. Bernd Zanon PEUGEOT 208 R5, overall winner Adria Rallye Trophy (4WD) 2018. 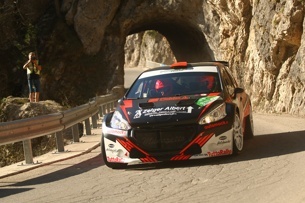 Gallery Rally Valli della Carnia. Gallery 44. Ina Delta Rally 2018. Alpe Adria Rallye Cup / Alpe Adria Rallye Trophy at the Murauer Rallyesprint St. Veit 2018. At the successor to the legendary Jacques Lemans Rallye returns on May 19, 2018 the Alpe Adria Rally Cup (AARC) and the Alpe Adria Rally Trophy (AART) return to St. Veit as well. Entry List Alpe Adria Rally Cup / Alpe Adria Rally Trophy 2018. You still can submit your entry - entries never close! / FIA International Sporting Calendar with AARC / AART. Last friday we have been informed that the FIA-Approval will be official in the next days. / Good news also from Rally INA-DELTA! The start of the AARC/AART championship is edging closer! The start of the AARC/AART championship is edging closer – there will be some novelties for 2018! The AARC’s successful story continues into 2018. Infofolder: Alpe Adria Rally Cup / Alpe Adria Rallye Trophy 2018! Enjoy the advantages of the "Alpe Adria Rally Cup" (AARC) and the "Alpe Adria Rally Trophy" (AART). AARC and AART on 22.1.2018 have received the official registration by the AMF-Austria – registration number SE08/2018. For the first time in its history it will be a FIA-sanctioned International Series! You can submit your entry online at www.alpeadriarallyclub.eu and a short version of the regulations is available to download. The regulations as well as the entry forms of the Alpe Adria Rallye Cup 2018 / Alpe Adria Rally Trophy 2018 are available on the website. More Newsarticles of the Alpe Adria Rally Cup 2013 - 2016 are available on the Archive-Website. More News an be found in the Archive!